What a year! Houston hosted the Super Bowl, had a hurricane, won the World Series, and played in the snow! It is hard to believe that 2017 is already coming to a close. At the Center, our community partners planted a community garden over the summer, served as a food pantry for hurricane victims, and helped set up a refuge for over 750 evacuees at St. Thomas Presbyterian Church. During it all, our program partners hosted activities for children, kept the Center open for recovery programs and we were one of five host sites for the Food Truck Relief Rally, sponsored by Shell and the Houston Black Chamber of Commerce. Check out some of the happenings at our new Video Stories page! During the final month of this year, we are focusing our annual Outreach Elves Holiday Donation Drive on recovery costs from Hurricane Harvey. This year, we need to raise $10,000 to help pay for the restoration of the Center. If you donated during Giving Tuesday—thank you! Those gifts will be counted toward our year end goal. Along with our community partners, we have worked very diligently to restore the Center and have made it look better than before the storm. 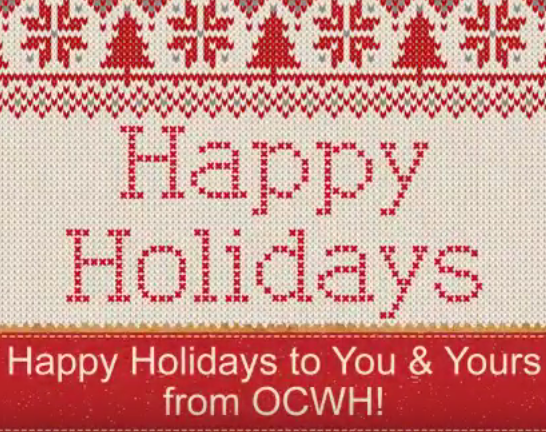 Everyone at Outreach Center of West Houston (OCWH) are very fortunate to count our many blessings. Will you help us reach our goal by stepping forward with your very best year end contribution and by sharing this with your network by December 31st? To maximize your giving generosity, we encourage you to donate at our Facebook donate button. Facebook is now waiving all processing fees for charitable organizations. That’s another bit of good news! Thank you for your continued support. And remember, no gift is too small and every dollar is appreciated. Or donate at our website.